With Nativious you will have access to a more intuitive workflow stream to help simplify your daily activity. You can also enjoy a universal format for your campaign settings. Select the different advertising elements (images & content) and the tool automatically formats and converts the ads to fit the requirements of each network. 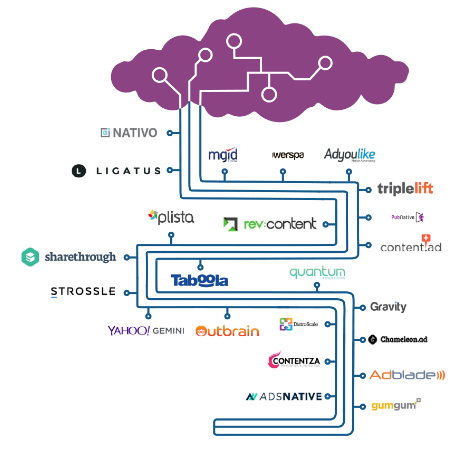 Diffuse your content on our 40 partner Networks available on Nativious, to ensure Maximal Reach on a global scale. Optimize your content strategy to ensure maximum engagement and optimal ROI. With Nativious, you will be able to optimize your performances on different levels (by Networks, Publishers & Ads) . We centralize all your campaign statistics in one unique & unified report for all your advertisements (by network, publishers & Ads ) with access to a large choice of KPIs and coherent Data.